Kecak dance in Bali is my favorite of the Bali dance exhibitions. Outside, in the dark, the atmosphere is great. The dancers are perfect at what they do, the makeup and costumes are out of this world, and the fire element is both startling and awesome. A great way to spend a few hours to spend in Ubud. Kecak Fire & Trance Dance is a very unique performance. No music but many men say 'chak' for the entire performance. 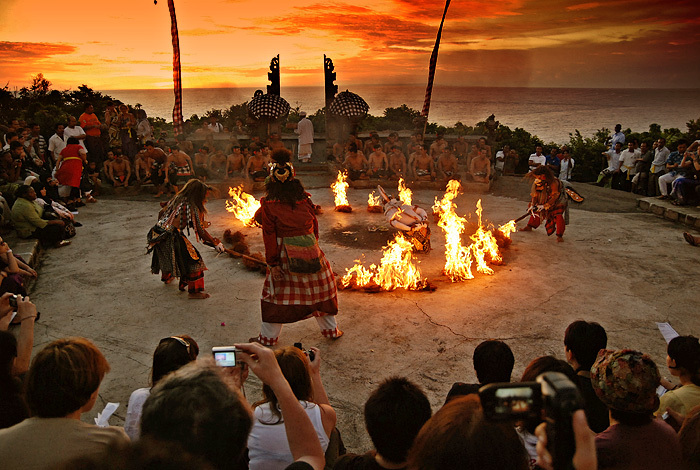 If you're lucky, you can enjoy your sunset while this traditional performance because of 18: 00 to 19:00. You can start watching this show when Uluwatu temple visits. 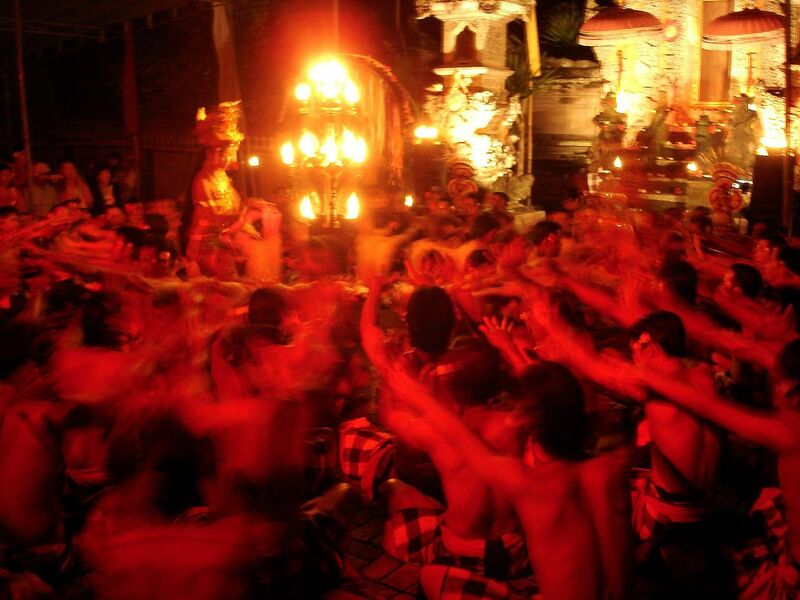 This is one of the Kecak dance, performed at Uluwatu temple known as the 'Ramayana Monkey Chant' . Background an amazing view of the sunset on the beach, Bali. Check the video below.